The History Channel, and some UFO skeptics, have been talking about the Arthur Kent hosted special, Roswell: Final Declassification since it first aired in 2002 and has been repeated a number of times recently. 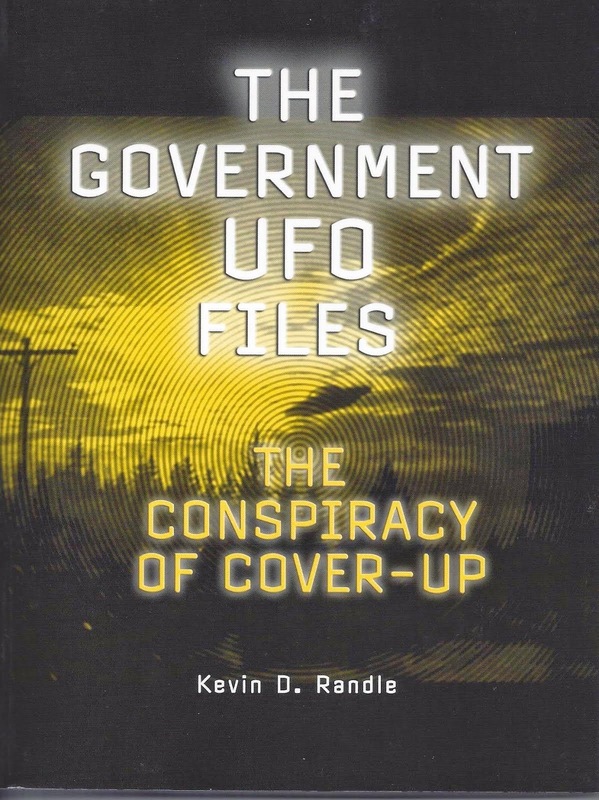 They have suggested that this documentary went a long way in ending the Roswell UFO crash controversy, because, according to Kent, "The History Channel has gained exclusive access to top secret files that have been recently declassified and for the first time on television our program reveals the content of those files and the government’s own research and conclusions about the most famous UFO case of the century." Kent continued telling the audience that "Until this day the public had been denied access to these files..." and that this would be a "look at the records generated by the researchers at the center of the story." It would have been quite the expose if anything in that opening had been true. It was not. The access granted to the History Channel was not exclusive and I had been working with people at the National Archives for months trying to obtain those files. Almost none of the files had ever been classified as Top Secret, and none of them had been recently declassified. The program revealed very little of what was in the files, most of which had been supplied to the Air Force in the 1990s by private UFO investigators on both sides of the controversial Roswell UFO crash question. I suppose I should confess that I am largely responsible for this disaster of a television documentary. More than seven years ago I began a quest to get at some of the documentation created by the Air Force during their highly publicized investigation into the Roswell case. I filed a Freedom of Information request with the Office of the Secretary of the Air Force asking for that documentation. Specifically, I asked for "all minutes, reports, memos, documents or notes relating to the investigation, discussions, or interviews conducted by the Air Force through SAF/AAZD [the specific office symbol of the staff who conducted the investigation] of the so-called Roswell Incident beginning in 1992. I am also searching for any records, memos, letters, minutes of meetings that related to the Roswell case as it was discussed in the Office of the Secretary of the Air Force, Shelia E. Widnall and relating to the investigation of the Roswell case. I would like copies of the minutes of meetings and other documents between Ms. Widnall and Colonel Richard Weaver, SAF/AAZD up to and including his instructions concerning his interview with Lieutenant Colonel Sheridan Cavitt. I would like all information relating to communications among the SAF, Colonel Weaver, Captain James McAndrew and other who participated in the research to include their instructions in the manner in which they were to conduct the investigation." In other words, I was trying to identify the information I wanted in the most specific terms possible because I knew that those dealing with FOIA requests sometimes suggested that vague information inhibited their search. I had once asked for a specific document, giving the precise title, date of creation, and agency which had created it only to be told my information was too vague for a proper search. The Secretary of the Air Force’s response was to tell me the official policy on UFOs and Roswell. I filed a second request, telling them that I had no interest in their official policy and had asked for nothing relating to UFOs. I wanted specific documentation concerning meetings that took place, instructions given, memos and letters that had been written in connection with their investigation of the Roswell case. Their second response told me that everything that been sent to the Government Printing Office. This I knew wasn’t true. Why would the Secretary of the Air Force send internal memos to the Government Printing Office? I went through the motions of sending a FOIA to the printing office and received a price list of their various UFO and Roswell related reports in return. I went back to the Secretary of the Air Force, with copies of the documents from the Government Printing Office proving that the information I had requested was not there. Now I was told the records I wanted had been sent to the Air Force Archives at Maxwell Air Force Base. That made some sense, and I sent off a request to the Air Force Archives. They denied they had the records. A second request was sent, this time with a copy of the latest response from the Secretary of the Air Force telling me that the records had been sent on to Maxwell. Now the officer in charge of the Air Force Historical Research Agency, (AFHRA), wrote back saying, "Unfortunately, we do not have the information you are seeking. All remaining items related to the SAF/AAZD’s investigation are in the process of being shipped to the National Archives. Although these items were held briefly in our building, they were never organized and accessioned. Therefore, they were never officially part of our holdings. You may contact the National Archives..."
Of course, I wrote to the National Archives and Records Administration (NARA) and was told "Such records are not in the custody of Modern Military Records at the National Archives. In fact we have virtually no records of such a recent date. We suggest that you contact the Air Force Records Officer, Department of the Air Force (AFCIC)..."
We had now come full circle. I was being sent back to where I had begun the search. In four and a half years of trying to locate the material, I was right back where I had started in 1997. I wrote to the Chief, Modern Military Records at NARA and told him that they had the records. In fact, I told him when those records had been sent and by whom, and that they should have arrived by then (February, 2001). On March 16, 2001, I learned that, yes, the National Archives did have the records. 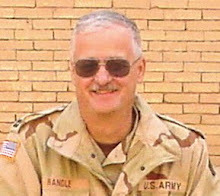 I was told, "In June 2000, our agency contacted the Air Force and requested that they send us the forms necessary to transfer the records in which you are interested. It appears that at some point in this process there was a breakdown, and we never received those forms. We contacted the Air Force two days ago on this transfer and requested that they forward the requisite paperwork to us. Please contact us again in two months. We hope that the records will have been received by then." In May, two months after my last communication with anyone at NARA, I sent another request. My request was forward to another department because there were lots of pictures, sound recordings and video tapes in the material. At the end of June, I was told that they had eleven boxes of material and that they could fax a copy of the index of the contents. By the middle of July, I had the inventory of those boxes and had sent a request for specific documents, ignoring the video tapes because those were obviously part of the video history that the Fund for UFO Research had put together in the early 1990s. These video tapes included interviews with Glenn Dennis and Gerald Anderson. Instead, I asked for those documents and materials that, from their index listings, might prove to be of the most value to my research. While we went back and forth, I realized that I was going to have to go to Washington and sort through the material myself. There was no way that NARA would copy everything and send it to me, and I could tell that some of the material were documents I already had found. These were some of the old reports dealing with balloon research, high altitude testing of ejection systems and parachutes, and information that I had supplied to the Air Force during their investigation. But others were just a listing, a brief title, or a suggestion of a folder that might hold something of importance. There was no way to tell from the inventory I had been sent. Then I received a telephone call from a production company that had learned that this material had arrived at the National Archives. Apparently someone there, learning about this stuff but who had not looked at it, called the documentary company to tell them that this declassified material about Roswell was there. One of the producers called me later, telling me that they planned to investigate this newly declassified material that no one knew was there. I managed to surprise them because not only did I already know this, I even knew what the boxes contained. What all this tells us, simply, is that the material, contrary to what the Arthur Kent’s opening remarks claimed, was not recently declassified and that it wasn’t being shown to them exclusively. Anyone who drove out to the National Archives and who had made the proper arrangements could go through the boxes. And, contrary to their claims that "Until this day the public had been denied access to these files," the material was actually out in the open. Producers, as well as writers, must make their stories interesting, and by suggesting that the documents and video tapes had been hidden in some dark vault makes the tale better. To prove their point, they trotted out a video tape of Gerald Anderson who, as a five year old boy, claimed to have seen the remains of a crashed flying saucer and the dead, dying, and injured flight crew. The host told us that "this video tape [was] discovered among the newly declassified materials and seen on televison for the first time." In reality, the tape was made by Stan Friedman of an interview with now discredited Anderson and passed on to the Fund for UFO Research for their video history of Roswell. Not only wasn’t the tape "recently declassified," it had never been classified in the first place. And, portions of the Anderson interviews had been used in other documentaries, including Roswell Remembered produced and directed by California documentarian, Russ Estes. The host, and the producers, introduced us to Glenn Dennis, the Roswell mortician, who claimed that a nurse, Naomi Self, had told him about the crash and the bodies. She supplied Dennis with a sketch of what the aliens looked like and made him promise not to tell anyone about the crash or the sketch. Research conducted by many investigators including Vic Golubic of Arizona, failed to find a trace of a nurse by that name. Although Golubic even tried the civilian hospitals and doctors in Roswell, there had not been a nurse stationed at the base, or who lived in Roswell in 1947 by that name. She simply did not exist. That didn’t stop the show’s producers from trotting out a record of court martial found in those eleven boxes. Although in a box by itself, and had apparently been requested by McAndrew during the Air Force search for information, it has nothing to do with Dennis’ missing nurse or the Roswell case. It should have been returned to the Judge Advocate General when McAndrew finished with it. This was not a copy, but the original document. I filed paperwork at the NARA suggesting that this record be sent back to the JAG. The transcript was about a doctor who was having an affair with a nurse. His wife was in a mental hospital in California and it seemed as if she was going to remain there. The nurse was a not very bright woman who had met the doctor in Mississippi and later they found themselves both stationed at Roswell. They were so poor at their clandestine assignations that one week they used his car and the next hers, registering at the same El Paso (Texas) motel as husband and wife. All this happened in the mid-1950s and there is no reason to assume that it had anything to do with the Roswell case. I told the producers as much but they apparently weren’t going to let a little thing like that keep them from mentioning the court martial, the clandestine rendezvouses in Texas and the possibility that this had been the nurse identified by Dennis. That, of course, was not the only irrelevance jammed into the program. We learned of the use of animals in space exploration, a topic that I had researched at the Space Museum in Alamogordo, New Mexico, over several months. I learned that the first use of any sort of living creatures was in July, 1947, but these were mice and insects. The first primates were used about a year later, but these were rhesus monkeys which are about the size of a house cat. 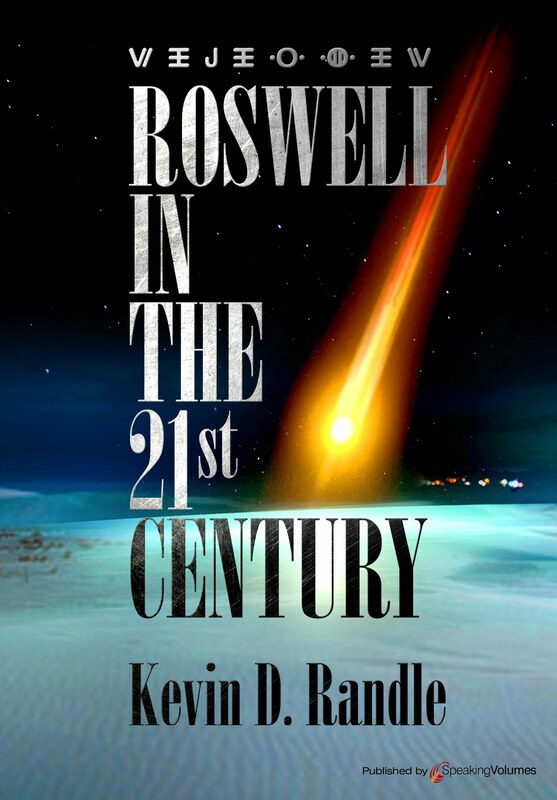 The program suggested that primates in flight suits discovered on the New Mexican desert would certainly create mystery... if such a thing had ever happened but I found no records of lost flights carrying the primates, no records of civilians finding the wreckage of those non-existent flights and being mystified, and no records of lost rockets that could account for the Roswell story. We can, if we want, pick apart the documentary. How good is it if the host mispronounces the names of key figures such as Mack Brazel and Jesse Marcel? How good is their research when they tell us about the official UFO investigation, suggesting that Project Blue Book began in 1949? The first official investigation, called Project Sign, began in 1948. Project Grudge replaced Project Sign in 1949 and Project Blue Book replaced Project Grudge in 1951, facts that made little difference to them. I can point out that they talk about Project Mogul, the attempt to create a "constant level balloon" so that we could spy on the Soviets, but showed pictures of other balloon projects including Skyhook. They implied that these new kind of balloons made of polyethylene might have fooled some of the New Mexican ranchers because they didn’t look like regular weather balloons. The problem here is that all the polyethylene balloon launches are accounted for in the records and the only Mogul flight that is not was made of regular weather balloons and radar targets. There was nothing unusual about them and nothing to fool ranchers who had found similar balloons on other occasions. They failed to mention that Mack Brazel, the rancher who alerted the military to the debris on the ranch he managed, told reporters at the Roswell Daily Record that he had found weather balloons on two other occasions and the debris he found was nothing like those. If it had been Project Mogul, as the producers suggested, then what he found would have been just like those other weather balloons because that was what Mogul was. I feel responsible for this disaster. Had I not been chasing certain records, which, by the way, were not in those boxes, then the producers would not have made this documentary. No one at the National Archives would have known that the boxes had arrived or that the proper paperwork had not been filed. Those eleven boxes would be stored in some corner of the archives because no one would care about what they contained. The irony here is that they only contained documents created in the 1990s, or irrelevant reports from earlier Air Force experiments. While some of that is interesting, and the that research eventually allowed us to touch space and probably made air travel safer, it was not what I wanted. It was not the critical materials for which I had been searching. Now, of course, I can begin that process all over again. But this time I know what not to request. All I have to do is figure out what I need to complete my research. Given what I have read here recently, and given the Peter Jennings Special, it seems to me that ufology, as we call it, is in a mess. We agree on almost nothing, we get caught up in personal fights that don’t advance the cause, and we spend half our time defending ourselves from assaults by our friends and foes. Worse still, we never seem to learn our lessons. We make the same mistakes over and over and then blame the government for being too clever forus. Take the recent debate between Michael Salla and Paul Kimball that has appeared on UFO Updates (See UFO Updates, Latest 100 Messages). While I find it refreshing because it hasn’t descended into name calling, it does demonstrate part of the problem. Here, I fall on the side of Kimball (See www.redstarfilms). His opinions and information more closely follows my line of thinking about Lazar and other matters than does that of Salla. Let’s look at this. At one point Salla uses the SOM 1-01 as proof that Bob Lazar might be an authentic witness (Yes, I know proof is too strong a word here, but it makes a point.) Kimball suggests that using MJ-12 documents to bolster a point makes the argument weak since there is controversy around the authenticity of MJ-12 generally and the SOM 1-01 specifically. Salla points out that Robert Woods believes the document to be authentic… but doesn’t mention that the man who received it, Don Berliner, believes it to be a hoax. In fact, a careful review of the SOM 1-01 by several prominent UFO researchers including Mark Rodeghier, and a review by former military men who worked with classified documents, also believe it to be a hoax. The anachronisms also suggest hoax. Reasonable people, I believe, can differ on their opinions about this. The one question that has not been satisfactorily answered is provenance. Just where did this document originate? Yes, I know that Stan Friedman has suggested it came from Wisconsin based on the postal code used, and that there is a suggestion that they know the name of the man who sent it, based on the use of a postal meter, but that doesn't answer the question of provenance. It suggests there might be some valuable clues in that direction. We can ask the same, important question of the original MJ-12 documents. We know that Bill Moore “retyped” the AquariusTelex because, according to him, the original was such a poor copy that he needed to do that for clarity. The problem is that we don’t have an original to compare with the retyped version so we have a document that is without provenance and that even Moore now suggests is a hoax. Few researchers accept the Aquarius Telex as authentic. When we move to the Eisenhower Briefing document and theTruman memo that accompanies it we are left with the sameproblem. There is no provenance. Worse still is that Stan Friedman submitted those documents to a questioned document expert, Peter Tytell, who, after review, said that they were not authentic. He bases this in part on Truman’s signature, which he believes proves that document a fraud. It is placed improperly, it is an exact match for another signature and it shows signs of having been altered. (Robert and Ryan Wood's claims not withstanding. They have not answered these questions). Here, again, I can see where reasonable people might disagree with a point. The arguments suggesting fraud, to me, outweigh those arguing authenticity. But I believe those suggesting the documents are real are sincere in their beliefs. I just think they are wrong, just as they believe I’m wrong. This is the same sort of argument we find in the so-called whistle-blowers’ testimony being offered by Salla among others. Many of us suggest that these people have not been carefully vetted so that we end up with people telling wild tales to all who will listen. In response, we hear that there isn’t time or resources to investigate all the claims properly. Their testimony is offered because it is believed and they seem to be sincere. But is that really enough? And, if one of the whistle-blowers is found to be a fake, doesn’t that really diminish, if not destroy, the testimony of others? If I can point to several of these people and suggest they are making it up, and present evidence that their claims are not true, doesn’t that really hurt the whole cause? Isn’t defense of those frauds damaging to all? Salla mentioned Robert Dean and Cliff Stone as well as Bob Lazar. Here I side with Stan on Lazar. Too many questions about his background and too many holes in it. And I do not understand how claiming to be a physicist translates into proof of a Master’sDegree as Salla suggested in one of his Update posts. As another aside, I interviewed a man for an article in the newspaper recently. He told me that he was an engineer. Later, he asked if this article would appear in his hometown and I said it would. At that point he changed from an engineer to an engineering technician. I had no reason to doubt his original claim and have no reason to doubt his amended claim. The point is that such a claim, printed in the newspaper doesn’t make it true. How many times have we seen people lose their jobs over claims, such as these, that could not be substantiated, yet here, with Lazar, we make up excuses for him. For those who believe that Cliff Stone has any credibility, please read the article he wrote for UFO magazine (American version, Vol. 13, No. 6 1998) in which he made so many ridiculous claims about his Vietnam service that it’s difficult to believe anything he says now. Even with that out there, and with his service records available suggesting he has been less than truthful, we still hear of him as one of the whistle-blowers. Which sort of leads to “dueling” witnesses. Stan and I disagreed over the importance of the tales told by Gerald Anderson and Frank Kaufmann about their Roswell experiences. I believed Anderson, at first, but then found so many holes in what he said and the evidence he offered that it was clear to me that Anderson was lying. He faked a telephone bill to make me look bad, his diary was in disagreement with that of Ruth Barnett (for which we did have provenance), and he made claims about his background that were found to be untrue. He changed his story, moved the crash site around the Plains, and could offer nothing in the way of corroboration that was independent. Stan, I think, still believes some of Anderson’s nonsense. On the other hand, Stan did not believe Frank Kaufmann, while I did. We finally learned that Kaufmann was no more reliable than Anderson and while Kaufmann didn’t admit to lying, in so many words, it is obvious that he was. The point here is that we should be searching for common ground. Instead we argue over the reliability of witnesses we know have lied to us. Worst still, we have found a number of researchers who lied about themselves and their colleagues but we still invite them to speak and listen to what they have to say. How many lies do these people get before we realize that they have not been honest with us and that continued support of them hurts our overall credibility. So maybe we can search for some common ground here. Maybe we should stop attempting the defend the indefensible and concede that sometimes we make mistakes.